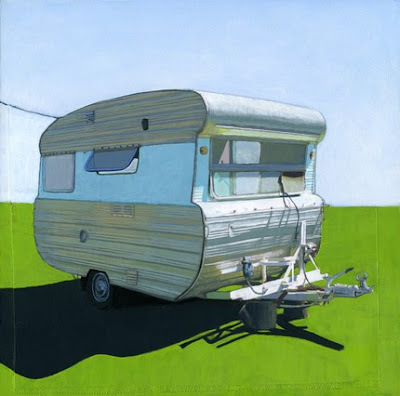 I know you love caravans and vintage as much as me so I realize your heart would be in a flutter too..
more lies within...The perfect house yet is it the perfect family? I could delve deeper into thought but I will not as I really would like to see what you think? But as always there is more I need to fill you in on...Like the other project!!! I love your carvan, looking really fab! The weather has been very wet and windy in Lancashire , England! Today though it is cold and crisp. 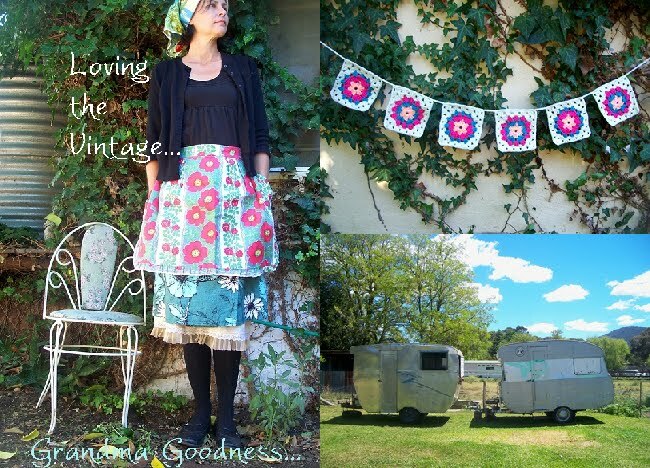 Oh do I ever love the vintage caravan! Wishing I still had mine, sigh. The painting is amazing, I will have to look at her shop. Today the sun is poking out from behind the veil of gray mist and doing us all a bit of good. The history of your cottage sounds most intriguing. I hope to hear tales of it's future as well. Your crochet hearts have made my heart leap and skip! Oh, was I supposed to peek? Well I did as usual, but I'll pretend I didn't! I hope your blog will be full of pics of the cottage in the New Year, cause I'm itchin to see it. Can you email me your mailing address please. For the girl in disarray who can't find it. Firstly... the weather... well I'm not melting today... bit overcast... bit of wind but still a tad humid here in 'sunny' Qld. We have been having the most unbelievable rain here - heavy and persistent, with lots of flooding - and far more than we are used to - our climate is definitely getting more extreme. The caravan looks amazing, and I just love your garland, too.